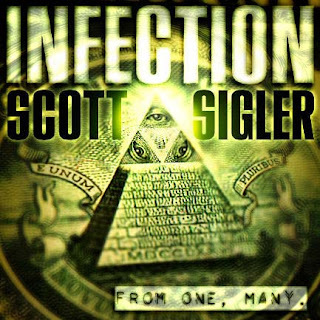 According to this press release, Scott Sigler’s thriller novel INFESTED, to be published by book publisher Random House, Inc.’s imprint Crown Publishers in the U.S. and Canada next spring, has been acquired for development by Random House Films and Rogue Pictures. The thriller by acclaimed horror and science fiction writer Scott Sigler is the first in a series of at least two books. Crown Publishers recently secured a world rights multi-book deal with Mr. Sigler, while the filmmaking partnership now holds rights to both INFESTED and the as-yet-untitled second book in the series. INFESTED details a race against escalating terror, as a CIA black-ops specialist and a Center for Disease Control scientist team up in the struggle to contain a parasite that is rapidly spreading across America. This bug’s bite turns ordinary people into crazed serial killers. The trail of corpses – of both the killers and their victims – soon leads to an infected man, Perry Dawsey, fighting a bloody battle for control of his own mind and body. Can Dawsey stave off his – and humanity’s – nightmare? Mr. Sigler’s previous novels, all of which have been either published as a book or podcast online, include EARTHCORE, ANCESTOR, and THE ROOKIE. He has readers and listeners in nearly three dozen countries, most notably the U.S., the U.K., Germany, and Australia. INFESTED is the latest project to evolve from the filmmaking partnership between Crown sister division Random House Films and Rogue sibling company Focus Features (Brokeback Mountain, Brick). In the multi-year deal announced in November 2005 between Random House, Inc. and Focus Features, the companies will develop movies together and co-finance and co-produce a substantial slate of feature films for theatrical release, all based on books published by Random House imprints in North America and internationally. The inaugural film to be made in the partnership is the drama “Reservation Road”, which Focus will release this fall, based on the novel of the same name by John Burnham Schwartz and directed by Terry George. The film stars Joaquin Phoenix, Mark Ruffalo, Jennifer Connelly, and Mira Sorvino, and is in post-production. So after establishing a reputation as a magician, illusionist, escape artist & stunt performer; conquering television with his “Mindfreak” series and appearances on Oprah Winfrey, David Letterman, Conan O'Brien, Ellen Degeneres, VH1, A&E, CSI, etc. 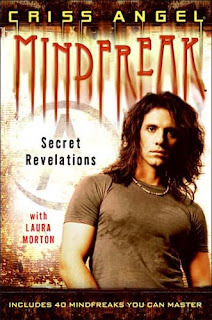 ; recorded a number of music albums and recently released the book “Mindfreak: Secret Revelations”, Criss Angel is taking his act to film. Reportedly, Criss Angel will be designing/creating visual effects and acting in a live-action adaptation of “Mandrake the Magician”, a U.S. comic strip created by Lee Falk (The Phantom) in 1934. The film was optioned by Baldwin Entertainment Group (Sahara, Ray) and Hyde Park Entertainment (Walking Tall) and will be directed by Chuck Russell (The Scorpion King, The Mask). 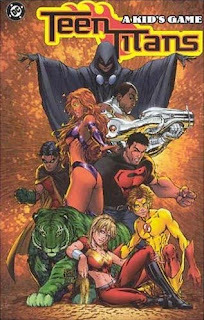 In comic book news, yet another property is to be made into a feature film, this time DC’s “Teen Titans”. Considering the success of the Cartoon Network animated show, it was probably only a matter of time. Attached to the film are Warner Bros. Pictures (Superman Returns, Batman Begins), production company Weed Road Pictures (Mr. & Mrs. Smith, Constantine) and screenwriter Mark Verheiden (Smallville, Battlestar Galactica). Not sure what direction they’ll follow, but I’m sure it’ll be more of the family-friend fare of Fantastic Four rather than the edgier X-Men. 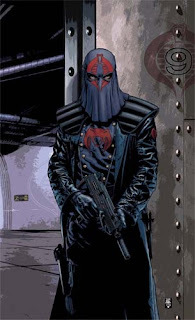 On a related note, Weed Road Pictures are also busy working on a couple of other DC-owned comic book movie adaptations including “Doom Patrol” and “The Losers” as well as another version of "I Am Legend" based on Richard Matheson’s novel, this time starring Will Smith (I, Robot, Men In Black, Bad Boys). Having recently reviewed the novel “Soon I Will Be Invincible” by Austin Grossman, a game designer who had worked on Deus Ex, Thief and System Shock, I found it interesting that Warren Spector who produced those same videogames is developing his own property (feature film, videogame) with action-director John Woo (Mission Impossible II, Face/Off, Broken Arrow) titled Ninja Gold. More information can be found HERE. Finally, according to this Variety article, Hasbro (Transformers) has acquired a new talent agency in William Morris and one of their first acts of business was renewing Hasbro’s deal with Paramount Pictures to turn G.I. Joe into a live-action feature with Lorenzo di Bonaventura (Transformers, Stardust) producing. Growing up, the G.I. Joe cartoons were just as influential to me as Transformers and He-Man, if not more, so I definitely want to see this happen. COOBRAAA!! !